Recently, Harry Potter Fan Zone, along with a number of other fan sites, spoke with composer Alexandre Desplat. 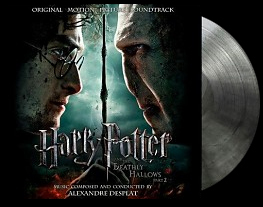 Desplat recently scored Harry Potter and the Deathly Hallows: Part 2 (he also scored part one last year). Harry Potter Fan Zone: When you wrote the score for the film, did you find that your ideas came to you very quickly in short bursts, or did they take a long time to develop? Alexandre Desplat: You know these films are such huge machines–there’s such a huge expectation and so much pressure from the past because its the biggest series of the last 10 years–that you have to be very careful and double-check, triple-check that every note you write is accurate and fine, and you want to challenge yourself to be, if not as good, to approach the talent of the master that John Williams is, so it requires a little bit of attention. You can’t write a score of that kind in a short amount of time so you need to really try things over and over again. Also on these big machines now, the editing keeps changing and you have to adapt to that, so you need that time to be able to write properly and accurately. Did you compose the soundtrack for Part 2 as a follow up for Part 1 or did you treat them as separate projects? When I first was asked to write Part 1, it was not yet signed that I would write Part 2, so, unfortunately, I could not write thinking of the two episodes at the same time. However, there are still some themes of Part 1 which continue in Part 2 like what I call the “Band of Brothers” theme when all the friends reunite at the beginning of Part 1. We hear this theme again in Part 2 and also some of the themes and motifs of “Obliviate,” the thing that opens Part 2, that comes back also in Part 2, so there is some continuity. Did you get to see the first half of the final film with your score added to it, and how did you feel about seeing everything put together? I saw Part 1 finished a long time again, and it was great. I think the essence of what it portrayed–the sense of loneliness and a loss of childhood–were very strong, and I think it was a great first part. Since Deathly Hallows – Part 2 was filmed way before it normally would be, did you got more time to score the film, and if so, did that affect your scoring process at all? I think I had a lot of time to write, a very comfortable amount of time to write, because all together writing it and composing took about three and a half to four months for each episode. When you’re filming on set, you can decide on shooting all the scenes that belong to this set and then you can still change them. It’s very different with the score. I had to wait until I saw Part 2 edited to be able to start putting ideas together and try to find a sense of an arc and a dramatic sense for the film. There was enough time, and it was hard work for many months but also still very inspiring. There are quite a few deaths in this film. Which was the most difficult to write, for and were there any that hit you harder than the others? Death is very present in the Harry Potter story from the beginning because it starts with an orphan who lost his parents, and, actually, the theme of death is very present in this episode, since Lily, Harry’s mother, is the lead character of this episode. We start the film with hearing Lily’s theme, which will kind of ghost the film all along and be the music thread that will take us from the beginning to the end of the film. So that’s one element of death, the people that you miss, the people that you long for, the sorrow, and the question about death and the resurrection stone and how you cope with the death of the people you love. That’s very present in the themes that are used and you see it when you see the film and hear the soundtrack that I’ve tried to be very sensitive and emotional on these matters. The other side of death is, of course, also the battles, the duels, the final battle between Harry and Voldemort, and they are both fighting for death, and there’s no mercy. So I wrote some epic and lyrical pieces for these battle moments. I stumbled upon this video earlier today of a rather talented YouTuber playing a medley of pieces from the first four Harry Potter films on piano; it’s definitely worth a watch! 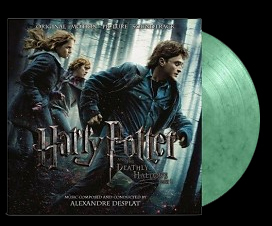 The track titles for Alexandre Desplat’s Harry Potter and the Deathly Hallows: Part 1 score have been published online. You can pre-order the soundtrack at Amazon. A limited edition release will also be available in December. 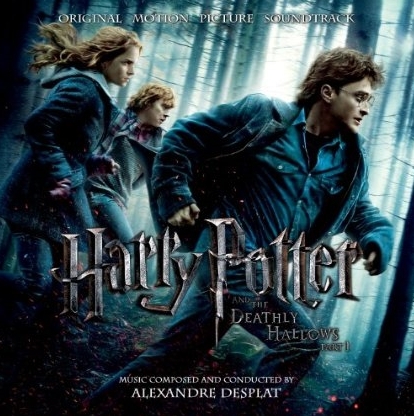 Composer Alexandre Desplat will score Harry Potter and the Deathly Hallows: Part I. While reports surfaced last year that composer John Williams would score the final two films, Desplat’s involvement in the franchise is now confirmed. It is unknown whether Williams, Desplat or another composer will score Deathly Hallows: Part II. 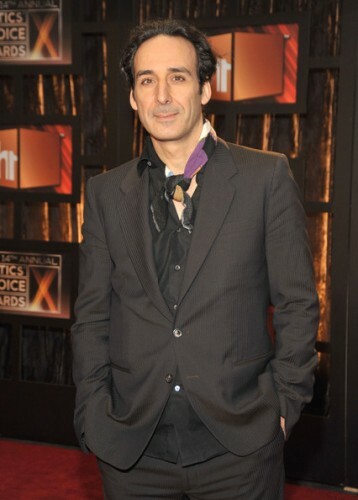 Recently, Desplat wrote the scores for The Curious Case of Benjamin Button and The Twilight Saga: New Moon. Harry Potter and the Deathly Hallows: Part I will be released in November.